Gathering evidence on Facebook has become standard legal practice, so a social sting operation was bound to happen. 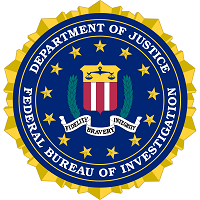 That’s how the Federal Bureau of Investigation caught a would-be terrorist in Baltimore. An FBI informer made the initial contact with 21-year-old Antonio Martinez after he posted publicly on Facebook about his desire for jihad earlier this fall, according to AFP. An affidavit filed in support of the criminal complaint alleges that on September 29, 2010, Martinez publicly posted on his Facebook account a statement calling for violence to stop the oppression of Muslims, and that on Oct. 1, 2010, he publicly posted a message stating that he hates any person who opposes Allah and his prophet. The FBI set Martinez up with a fake car bomb, and then apprehended him when he was about to set it off remotely. He’d rigged the faux explosive in a vehicle parked just outside of a U.S. military recruitment office in a suburban Maryland shopping mall. Martinez was charged with attempting to murder federal officers and employees, along with the attempted use of a weapon of mass destruction on government property. He faces possible life in prison for these charges, and is being held in custody until a court hearing scheduled for Monday. The timing of all this — officials were able to nab this suspect within six weeks of his jihad-seeking post on Facebook — appears brisk compared to the pace of other sting operations. The case may set an example for future continued use of the social network for stings. Readers, what do you think about the advent of sting operations on Facebook? What effect might this have on the community?